Iconic. Legendary. Timeless. These are just some of the words used to describe the powerful and stylish Ford Mustang. The pony car, born over 50 years ago, still manages to catch stares and affirmative nods in among a squad of automotive beasts. Here, we will look at the Ford Mustang’s evolution to find out how this iconic vehicle has managed to stand the test of time. 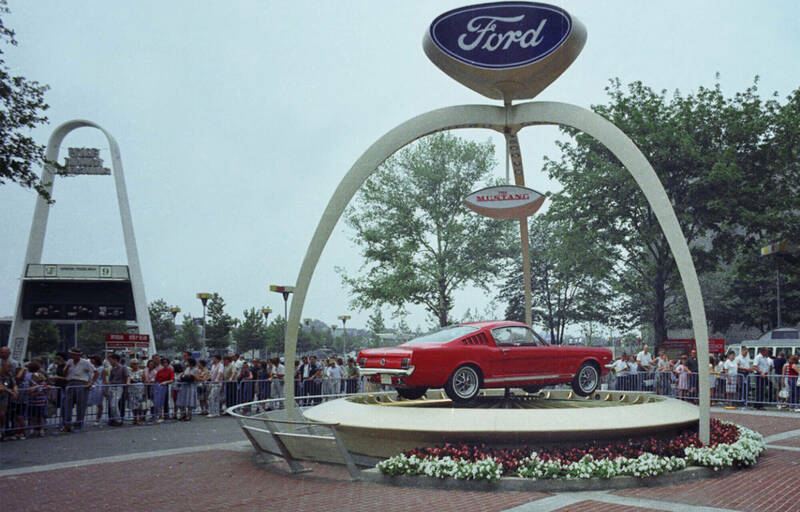 The very first Mustang was born in March 1964 and was introduced to the public the next month. The Mustang’s styling, with its long hood and short deck, proved wildly popular. Its fame further catapulted with a cameo appearance in the James Bond film Goldfinger in September 1964. Ever wondered how Mustang got its name? John Najjar, the executive stylist at Ford, is credited as having suggested the name due to his love for the World War II P-51 Mustang fighter plane. Towards the end of its first generation, the 1968 Ford Mustang GT 390 Fastback became a part of the cultural lexicon thanks to the film Bullitt. With that, there was no doubt in any one’s mind that, the Mustang was here to stay. A tumultuous time for Mustang and its lovers, the muscle car’s first major setback came during the American oil crisis when Ford was forced to roll out the second-generation Mustang in 1974 as a smaller, less powerful model. Ford’s sensible approach helped the Mustang become a favourite with the fuel-miser consumer. 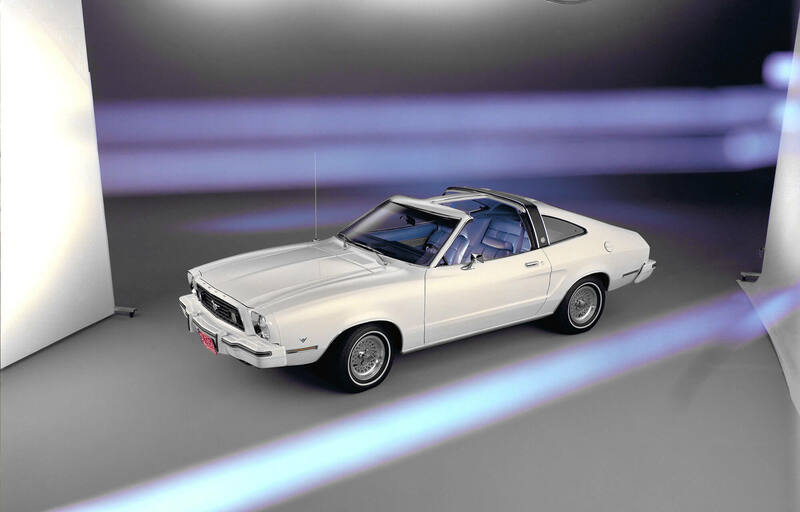 As soon as the fuel crisis waned, Ford introduced a more powerful model, installing a 4.9-liter V8 as an option in the Mustang II in 1975 and presented its Cobra II and Stallion packages. Built on Ford’s Fox platform, the third generation of the Mustang was realised in 1979. This version of the ‘Stang came in coupe, convertible and hatchback styles with quad rectangular headlights and an eggcrate grille. 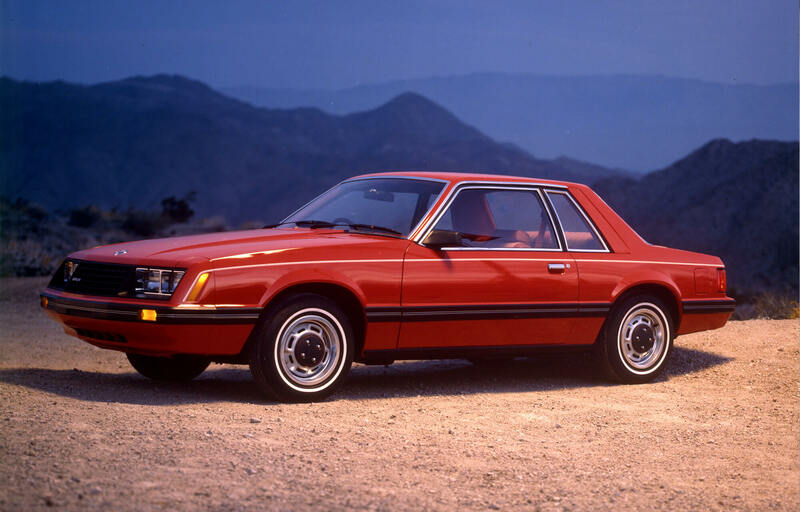 By 1987, the Mustang received a drastic face-lift, resulting in a sportier look and improved aerodynamics. Ford also produced popular variants of the Mustang, such as the Cobra and the GT, during this time. 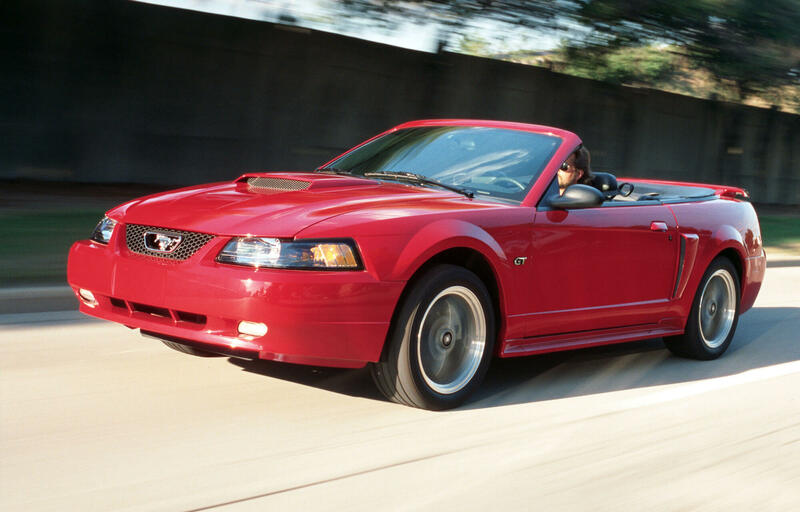 The Mustang’s first major redesign happened in 1994, almost 15 years after the last generation of Mustangs were first introduced to the market. The new Mustang took on a completely new design and style. The body was far more rounded than the last car, and Ford ditched the car’s previous hatchback style altogether. Engine options came in the form of a 3.8-liter V6 with 145 hp (’94 and ’95) and 150 hp (’96-’98), a 4.6-liter V8 with 215 hp (’96-’97) and 225 hp (’98). By 1996, the Mustang had its the rear taillights nipped from three horizontal slits to three vertical sections, a noticeable change in the rear fascia which had a more traditional Mustang look than the initial ’94 model. The fifth generation of the Mustang was released in 2005. Ford returned to its first-generation roots by bringing back the original Mustang’s style and spirit this time round. Ford dubbed the car’s new style as “retro-futurism.” In 2007, Ford released the Shelby GT 500 — the first Shelby model in 35 years. 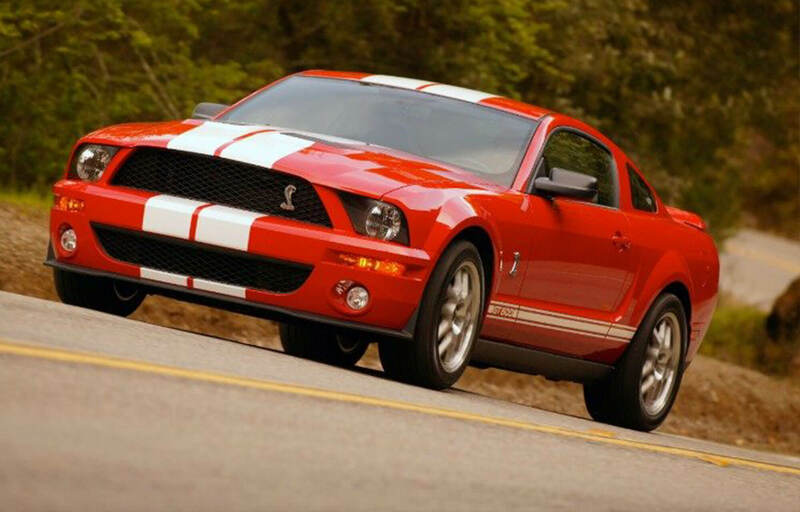 This Shelby had a luxurious feel to it, but with a 5.4L V8 engine that cranked out 500 hp, it also became one of the most powerful Mustangs ever released. Ford’s retro-futurism approach became an example of Mustang’s enduring legacy. The 50th Anniversary of the iconic Mustang also marked the biggest change in the car’s history — the replacement of the solid rear axle with independent rear suspension. 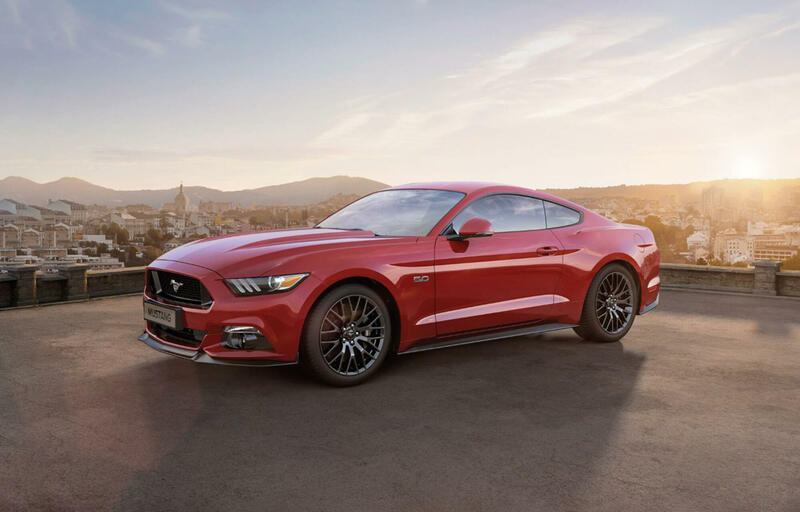 Ford understands the need to be environmentally conscious and the sixth generation of the pony car comes with 2.3L Eco boost 4-cylinder engine, making it a muscle car with impressive fuel economy. It is safe to say the Mustang has consistently evolved to stay relevant and will continue to do so, much to the delight of car lovers around the world. Learn more about the Ford Mustang and other Ford models on our site. If you want to experience this iconic muscle car yourself, then please Contact Us or Book a Test Drive.